Wow.. 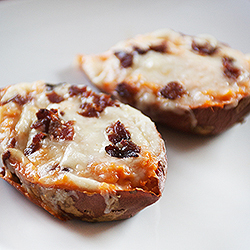 I really loved these Twice Baked Sweet Potatoes. I have been pondering this recipe for a long time, about 2 months. When I was first going to make then I got sick.. so the ingredients just sat there and eventually got eaten for something else. But I finally was able to make them for dinner the other night. And boy, were they good! 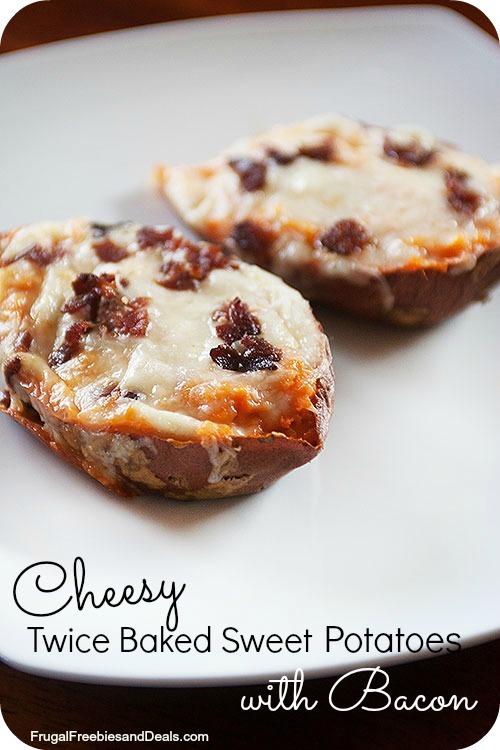 We really love sweet potatoes around here so these Cheesy Twice Baked Sweet Potatoes with Bacon were a new taste treat. Add bacon fat, 1 tablespoon of chopped bacon, 2-4 tablespoons of cheese, milk, salt and pepper.